I received my Birchbox on Saturday morning and I have to say that this month it beats Glossy Box hands down. I would like to start by saying I am loving the Birchbox redesign, I love the new colours and the bag is a lot softer and better quality than the previous pink one. This is what I received in my box for June. 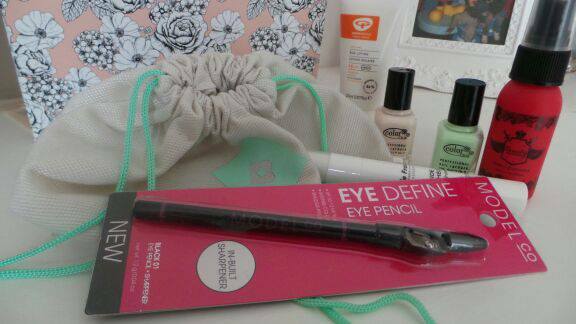 This is a nice piece to receive, you can never go wrong with a black eyeliner - the fact it has a built in sharpener is an added bonus, goodness knows how many times I have misplaced one! I will give this a go, my skin gets very dry - anything to boost the moisture is good in my book. Ok, a little boring, not what I want to see in a beauty box though it will come in handy when/if the hotter weather sets in. I am currently fighting with my hair, it is in desperate need of tlc so I will definitely give this product a whirl and it smells really good. Now, I think I was given an 'extra' one by accident as when reading other reviews, everyone seems to have only one - not that i'm complaining. I just wondered if it was a mistake. Let me know if you got 2 also. I got 'MOD in Manhattan' which is the nice creamy colour and the other is 'London Calling' which is a minty green. I love them both and I really like their names too. There you have it - my June Birchbox. What did you get in yours? I got exactly the same as you. Have you tried London Calling yet? You're so lucky that you got two polishes! 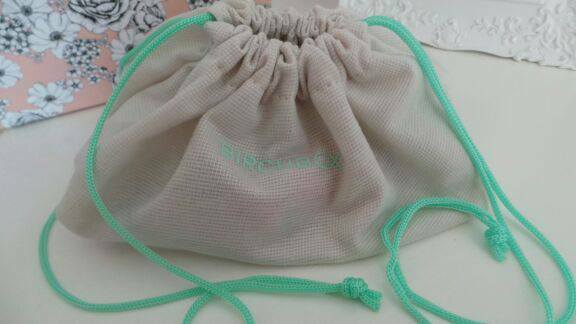 Everyone gets two your suppose to give one to a friend thats why it comes in the pastel green pouch however most people are keeping both. I got the same shade so I won't be. I really want to subscribe to birchbox/ glossy box. This post has made me lean a little towards birch box. Thanks for the informative post. I suspended my Birchbox to try BeautyArmy a few months back. (I try to limit myself to 2 boxes a month). But I'm pretty sure it's time to go back to Birchbox. They were my first ever subscription box and I love them! This seems like a decent box, I really like the nail polishes. I love the mint polish you got! You got very nice products! looks like a great box! i wish birchbox would make its way to canada! You must try the hair conditioner, it's amazing! !